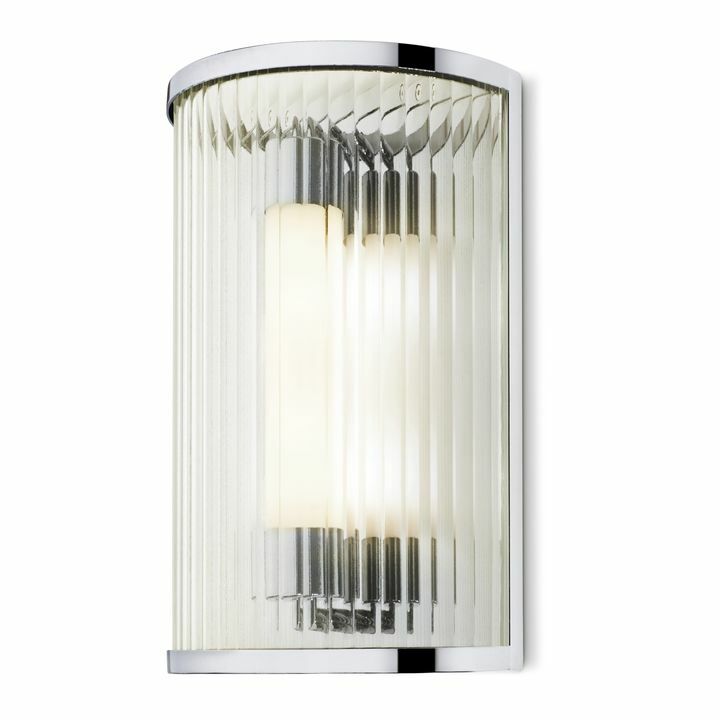 There are only 16 available of the Atlas 11" LED Wall Sconce, Chrome. Your selected quantity has been adjusted. 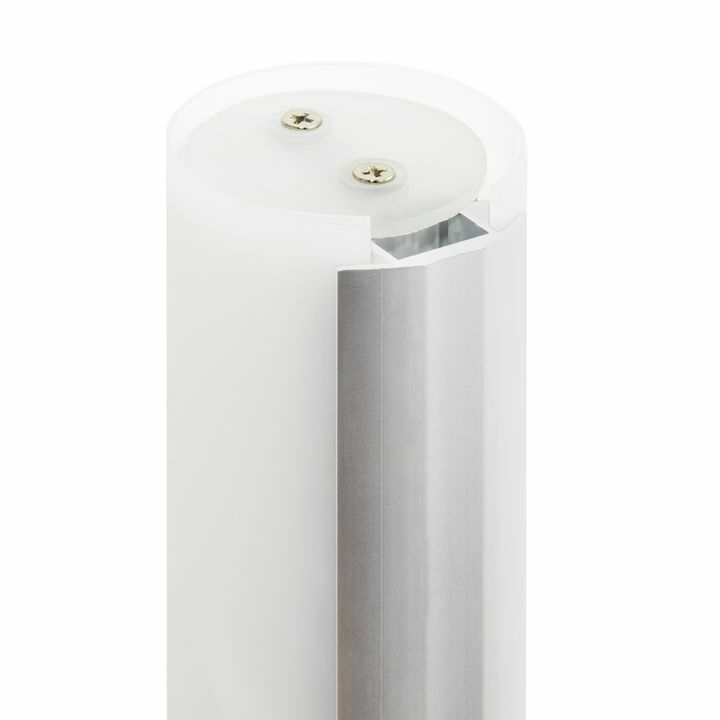 Each sconce features our beautiful, proprietary opal glass shade. This special glass prevents glare or harsh light, while enhancing the clarity and brightness. 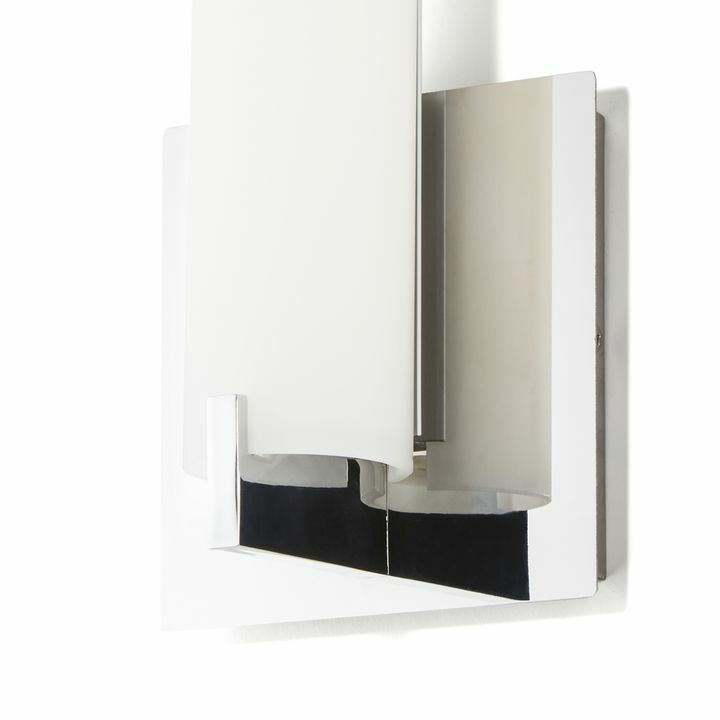 This minimalist sconce with clean lines and classic finishes is a consummate example of versatility through quality. The opal glass shade, made exclusively for our Atlas Collection, is striking against the sleek, hand-finished chrome backplate. 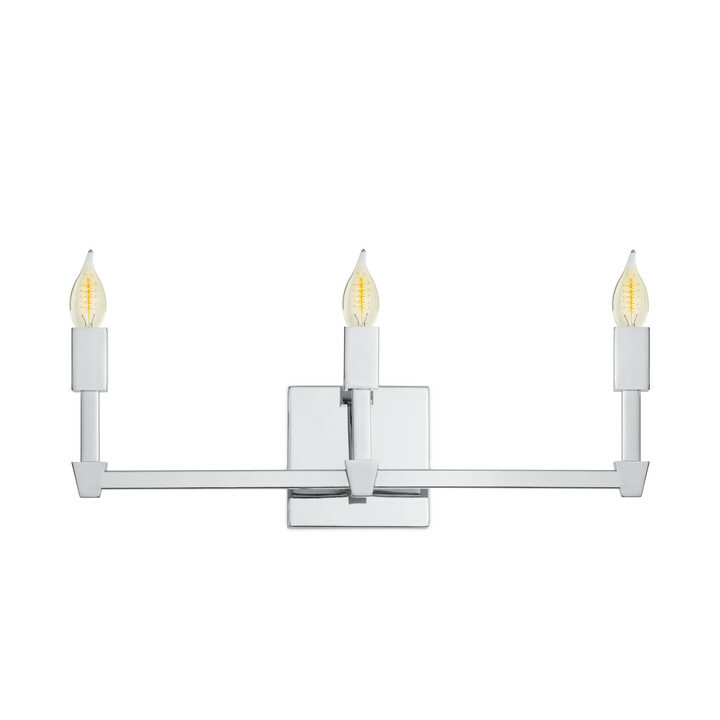 Simple elements combine into an elegant fixture that compliments rooms modern to traditional. 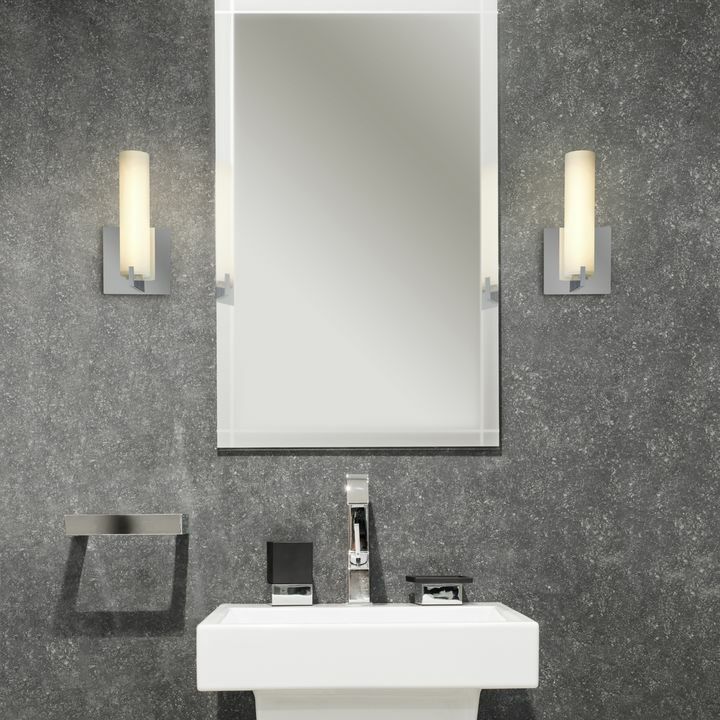 No details are overlooked, with even the backside of the sconce is finished in chrome to provide a flawless look in the reflection in a vanity mirror. 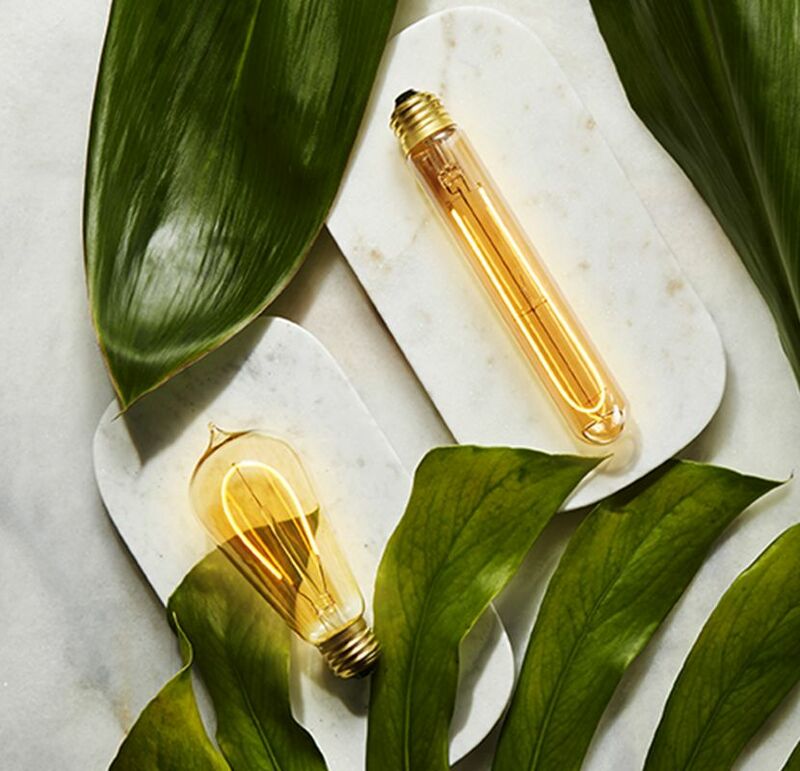 Each sconce is lit by extremely bright, energy-efficient integrated LEDs to provide even, natural light along the entire length of the glass. 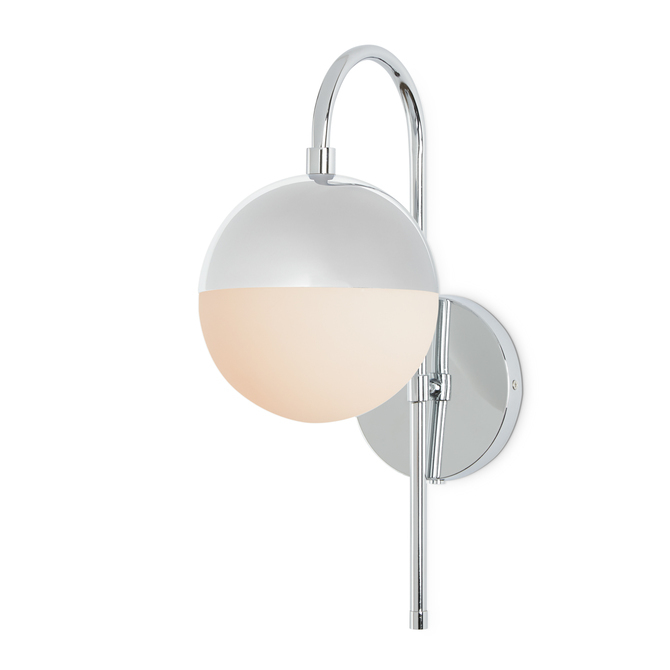 The Atlas works beautifully as bathroom vanity lighting, book-ending a mirror or alone as single sconce bathroom lighting. 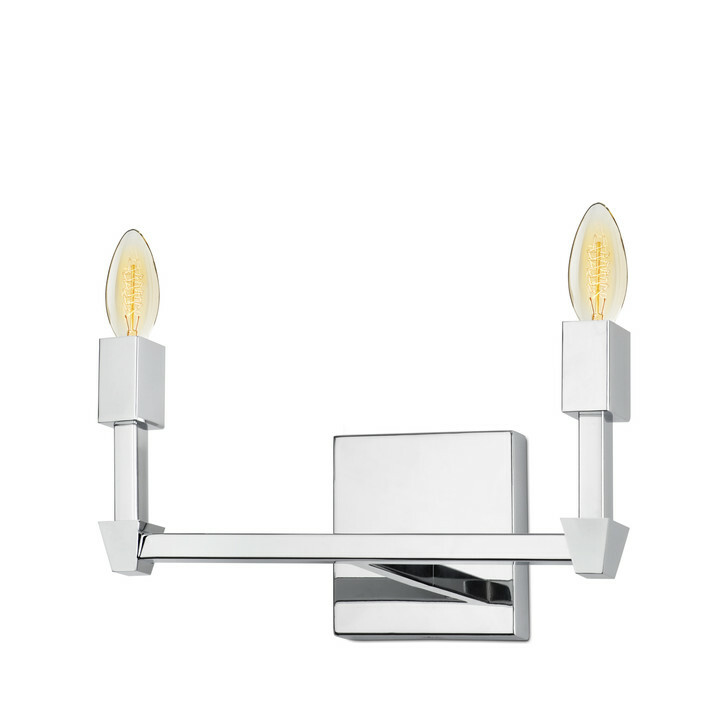 Not just for the vanity, a pair of the stylish Atlas sconces elevate a foyer or entryway, or look smart flanking a bedroom headboard as reading lights. Install a dimmer and enjoy a truly customizable lighting experience. 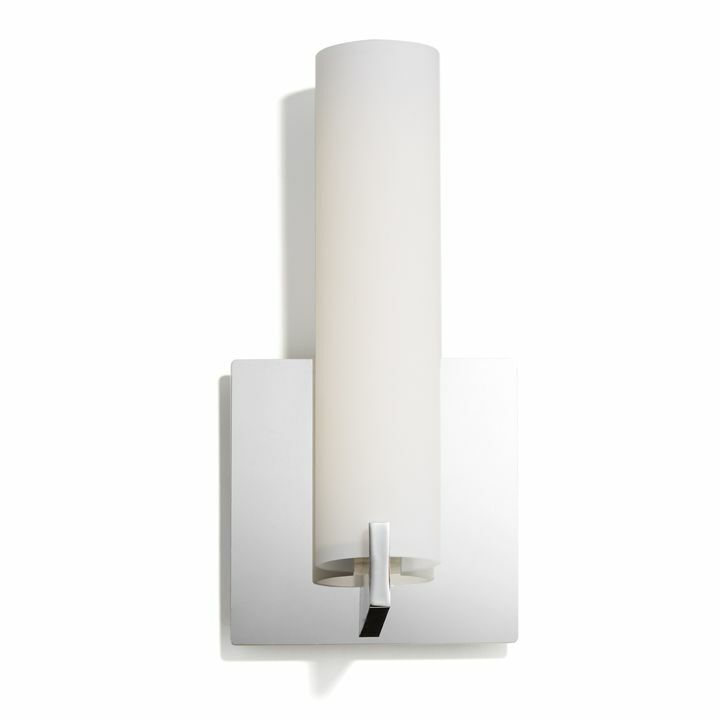 This is a very well constructed wall sconce--even my electrician husband says so! Be aware that lumen output isn't very high, so it doesn't give off a ton of actual light. Great looking lights, nice build, and function perfect. Beautiful, with an elegant finish. What kind of bulbs does it use? Where can I get replacements? I'm looking for Gold Vanity Lighting. Is the aged brass finish more a gold or more of a brown? The Atlas 11" Wall Sconce in the aged brass are all individually hand-finished, so there is some variation between each light- the process is part of the artistry of the product and creates a much richer finish than just plain gold or brown. As always, it comes down to the eye of the beholder, but I'd say it's closer to a rich, layered gold than anything brown. How hard is it to put together? Do I need tools? 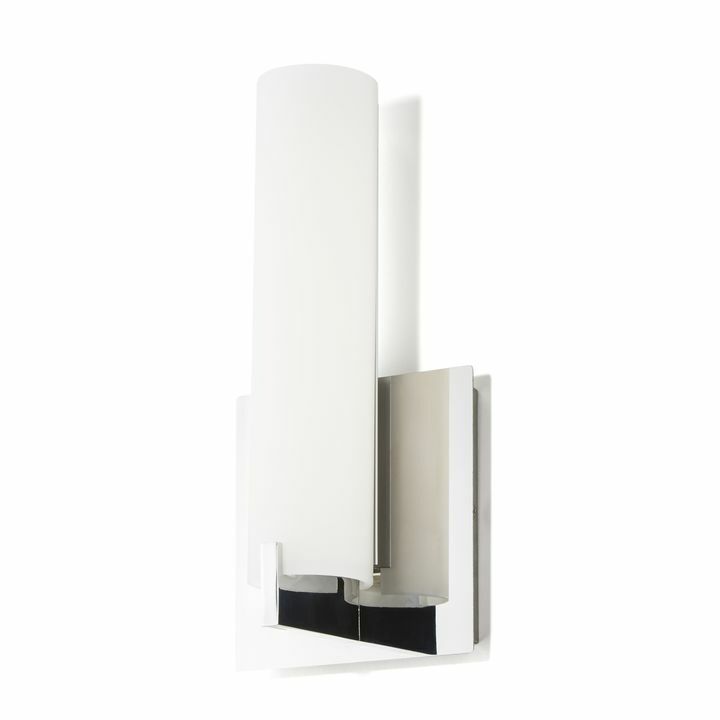 The Atlas 11" LED Wall Sconce comes mostly assembled, so you won't need any tools for that. To install the fixture, you'll need to follow the simple instructions included in the manual that comes with the fixture. For installation, you will need some basic supplies like a phillips head screwdriver, wire cutters, and some miscellaneous other things. You can take a look at the instructions by clicking on the "Product Specifications" tab and opening up the manual. What happens when the light burns out? 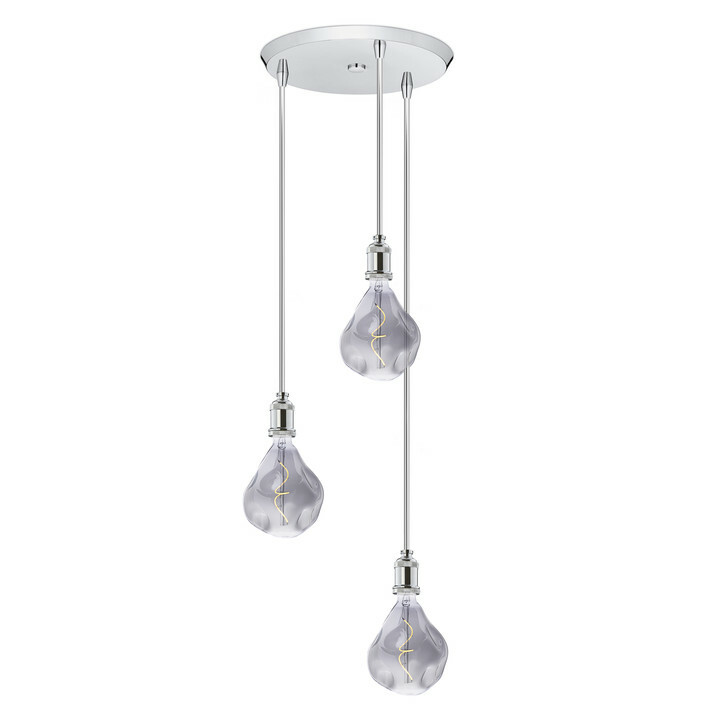 Are there special bulbs to buy? 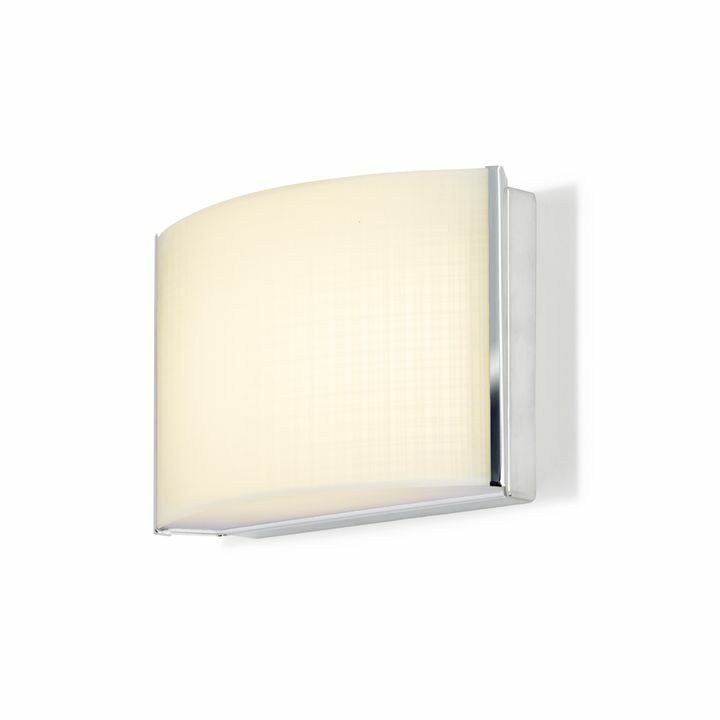 The Atlas 11" LED Wall Sconce, Chrome has a LED board that has a lifetime use of 50,000 hours. It's possible to change out the LED board, but you probably won't ever have to. If you do run into problems, give us a call and we'll be able to talk about options. What's the difference between chrome and brushed nickel vanity? Does one work better in bathrooms? 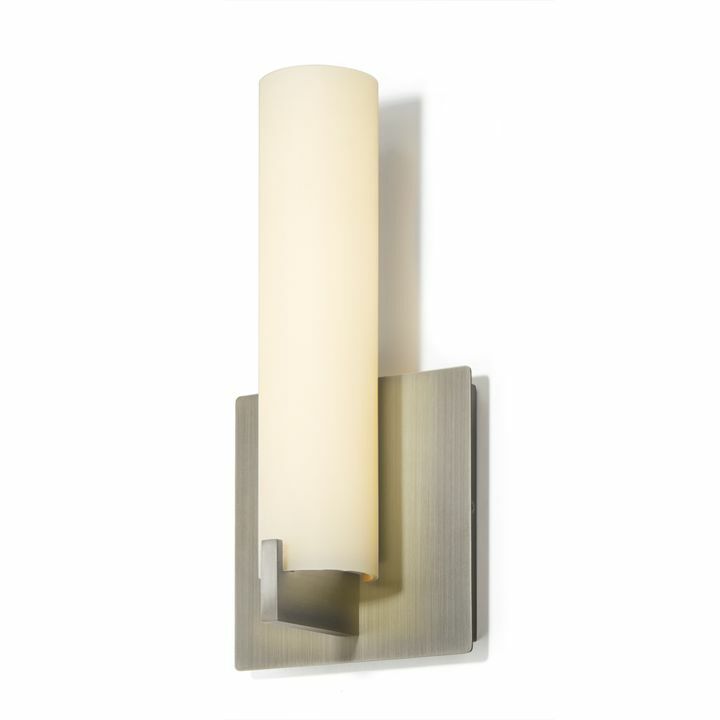 The Atlas 11" LED Wall Sconce, Chrome comes in three colors Chrome, Brushed Nickel, & Aged Brass. The Chrome is a little bit more reflective than the Nickel, but both look great in bathrooms. It'll just depend on your own tastes. This isn't just for bathrooms? I think I might like this for my entry way- is that ok? 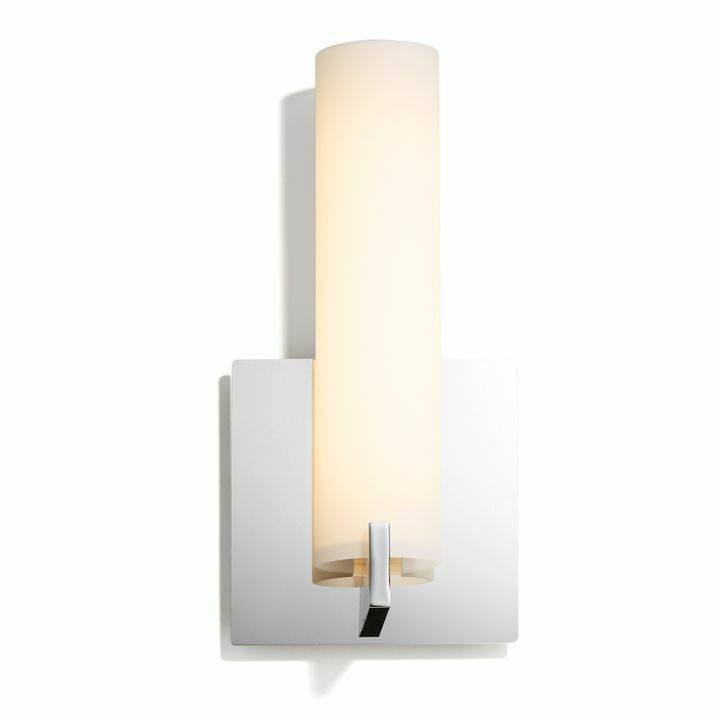 The Atlas 11" LED Wall Sconce is a versatile fixture and would look great in entryways. I especially like them above a console table around a mirror - that helps bounce light around and makes your foyer a really cheery place to come home to. Can they be installed with light tube pointing down? 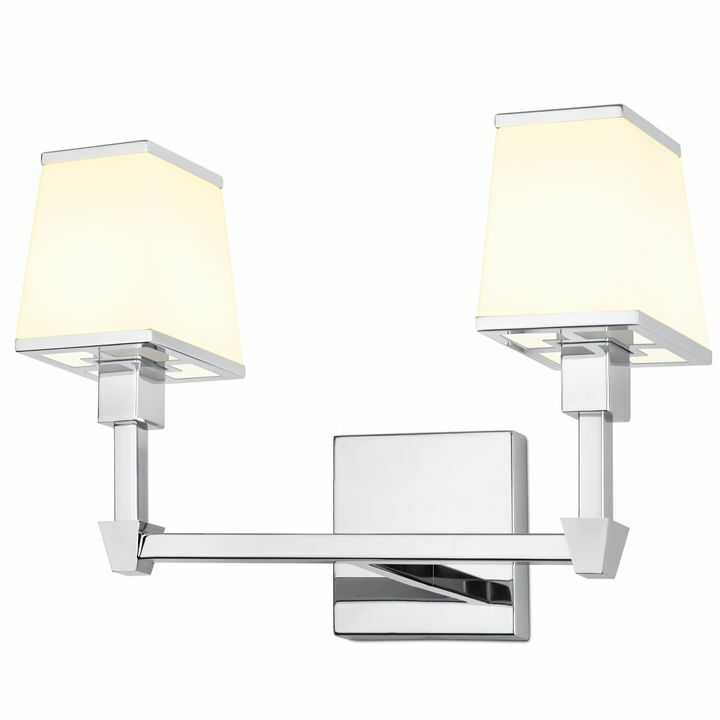 Unfortunately the Atlas 11" LED Wall Sconce can't be installed upside down. The glass shade sits securely on the bracket, but isn't screwed in or locked into place. If the light in installed upside down, the shade would fall down. 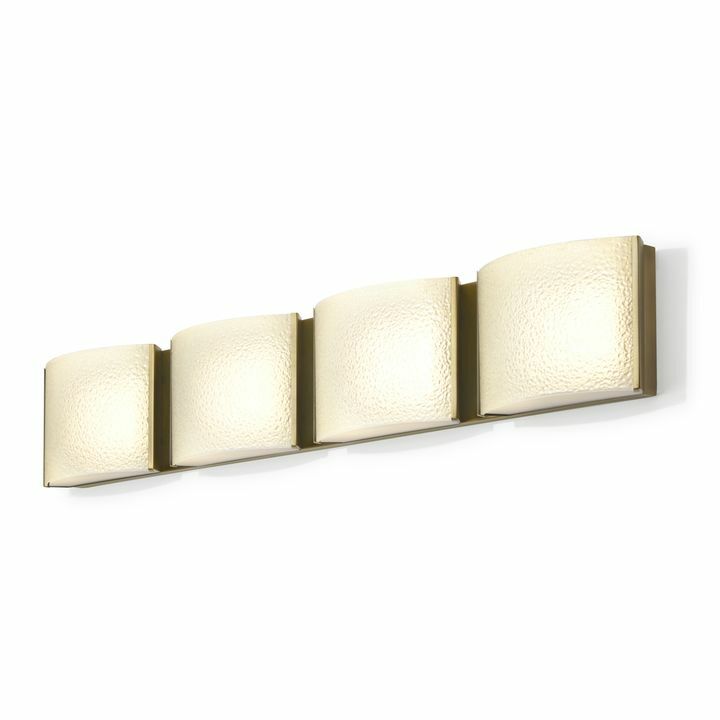 Hi, I wanted to use these in my vanity powder room with white gloss white floating vanity and a gold round mirror. 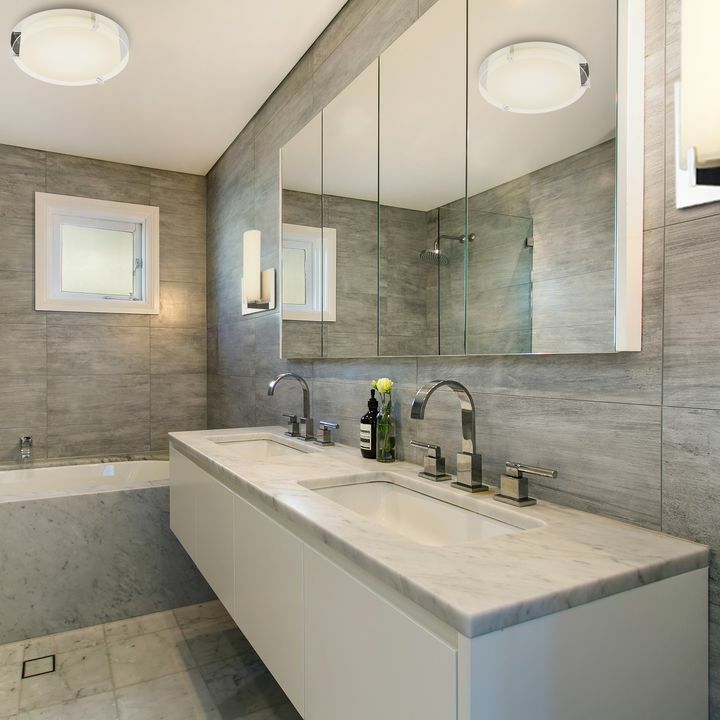 This is for a bathroom that needs modern vanity lighting and already has a narrow mirror with a gold vanity frame and stainless steel faucet. 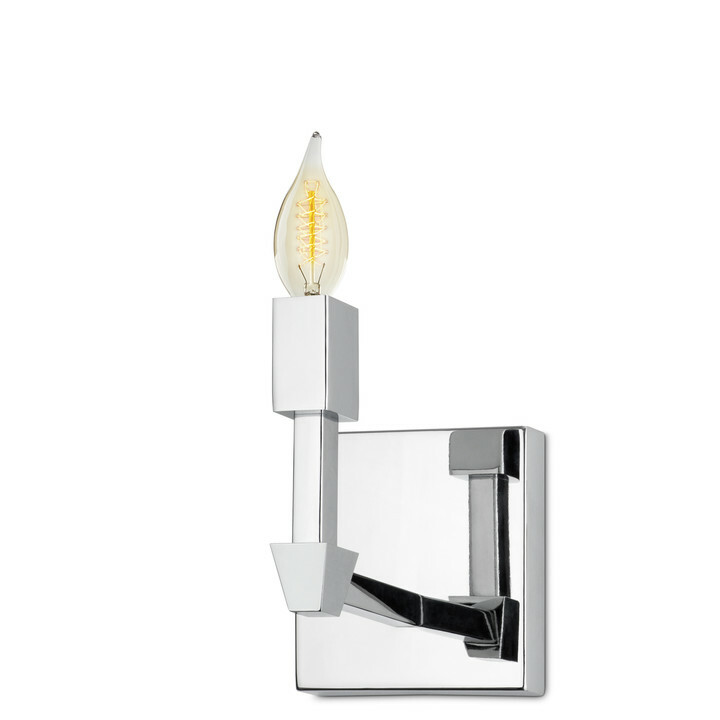 The Atlas 11" LED Wall Sconce is a great choice for modern LED bath lighting. 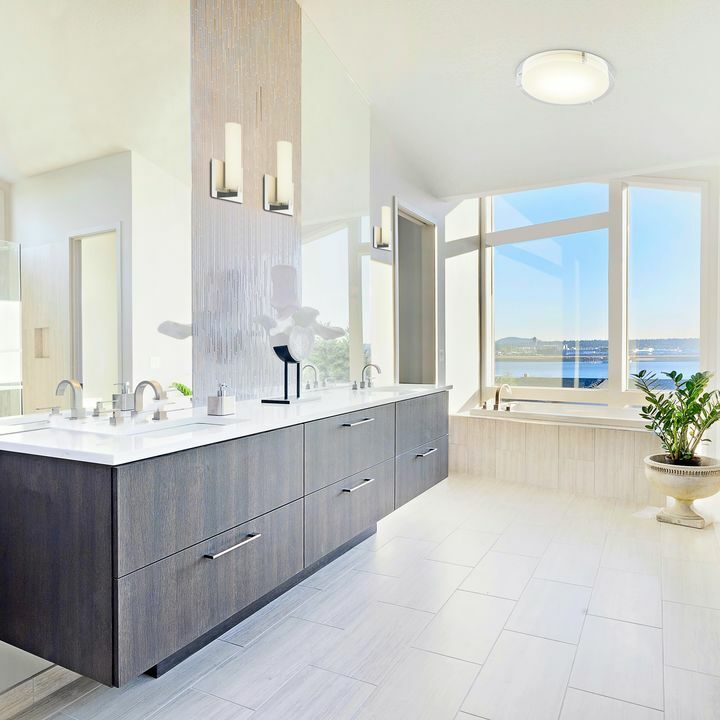 If you wanted the fixtures to be closer to your stainless steel faucet, the brushed nickel would be striking against the mirror frame, but the aged might blend in with the gold. LEDs get a bad rep. This is largely due to the first impression they made when they first came to market. Initially, they were bright, so bright, in fact, they were almost hard to look at. They had a funny bluish tint, and altered the colors of the objects they illuminated, giving them a â€œmuddyâ€ appearance.